You’ve certainly made it as a campaign movement when you get a feature in the Guardian….so congratulations should go to Avaaz who featured in the paper last week. Launched in 2007, in the last months alone they’ve had some notable successes on pressuring the government over BSkyB and Murdoch in the UK, corruption in India, stopping the Grand Prix in Bahrain and blocking a mega-dam in Brazil. So here, to steal another idea from my paper of choice, is my ‘In Praise of….Avaaz’. It’s a truly global movement – Over 9 millions members in 193 countries around the world. Together having taken tens of millions of actions and it’s a movement that’s rapidly growing in India, Brazil and South Africa. Plus they’re solely funded by their members. It’s all about the metrics – The Guardian describes how Avaaz rigorously tests its campaign before launching them to most of their members. “Campaign ideas are submitted by Avaaz’s members in the first instance. But once an idea is settled on, it still has to pass a rigorous selection procedure. First, a tester email is sent to a random selection of 10,000 members in a particular country. Any “tester” that doesn’t encourage at least 10% to open it is generally discarded. Test emails that pass this threshold then need to ensure around a 40% conversion rate. Here, they’re testing the email’s contents. If the email’s going to fly, at least two in five of those who opened it need to go the extra mile: to click through to Avaaz’s website. They’re not afraid to say it was ‘them that won it’ – I’ve observed that some campaigns exhibit a certain amount of modesty when they win a campaign. Messages to supports are prefaced with ‘you helped to’ or ‘had an impact on’ as campaigns are careful not to ignore the other factors that can lead to campaign success. That’s not the case with Avaaz take for example from the April Reportback on two recent campaign successes. “Just days ago, two things were different – questioning the global “war on drugs” was a huge taboo in government circles, and Formula 1 was set to hold their Grand Prix in Bahrain despite a brutal government crackdown on peaceful democracy protesters. Then our community got involved. Within 72 hours, more than 1 million of us joined these two campaigns, and we won! 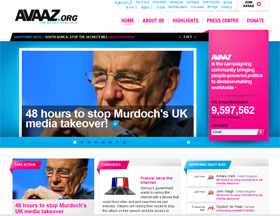 They know what they do well – It’s easy to criticise Avaaz for simply focusing on e-actions and not looking at building a grassroots movement, but that’s in party because they’re clear of the role they play explaining on their website. “We focus on tipping-point moments of crisis and opportunity. In the life of an issue or a cause, a moment sometimes arises when a decision must be made, and a massive, public outcry can suddenly make all the difference. Getting to that point can take years of painstaking work, usually behind the scenes, by dedicated people focusing on nothing else. They’re supporting those on the front-line– By raising the money from 300,000 members of the Avaaz community to help work with those leading democracy movements in Syria, Yemen, Libya and more to get them equipment, connections to the world’s media and communications advice to help tell another story of what was happening when governments tried to clam down on internet access. For more on Avaaz check out this profile of its founder Ricken Patel in the Times or a video of Ricken talking about the movement at a recent Guardian conference. What would you add to the list? 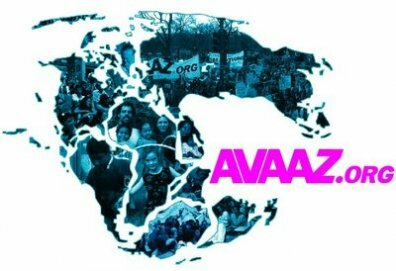 Does the Avaaz model have any drawbacks? What’s its greatest strength (and weakness)? I think one of their weaknesses is the flip side of one of the strengths you mention: by intervening in existing issues relatively late in the day they both concentrate on adding pressure when it matters most (good) but also can come over as jumping on other people’s bandwaggons, being the equivalent of ambulance chasing lawyers (bad). Overall it clearly works well for them, but I think their messages could do more to build bridges with others who have already been working on the same issues. Over-saturation. Depending on what country your in, you could be getting info from Avaaz, Move On, Get Up, 38 Degrees, Greenpeace, Oxfam, Save, etc etc etc. I think there will, ultimately, some sort of reaction to online campaigning. Its been successful to date, but will campaigns and organisations miss the long-term support they enjoyed pre-digital? Will people start ignoring the email call to actions when they receive 1-2 a day from the array of organisations they subscribe to? I agree with Nick. Osborne that is. But it’s a nice problem to have. My perception is that it results in people being generally more aware of issues as every campaign ask is often also a moment of education. The challenge is how to manage the flow of asks. It’s like anything in the digital world which helps you manage information flows – you want a tool to help you do it, but when it comes you miss the random inflow of information and opinion you experienced without ‘lists’ or ‘filters’ etc. I’m pretty sure Avaaz filter their asks to me based on previous actions I’ve taken though, right?